M.R. was healthy at birth in January 2007 and continued to be until early 2008 when he was hospitalized for a respiratory infection. He was discharged after two days and his mother brought him for a follow up appointment with his doctor a few days later. At this appointment, he was given a clean bill of health and also received a number of vaccines including the DTap (Diphtheria, Tetanus, and Pertussis), Hib (Haemophilus Influenzae Type b), MMR (Measles, Mumps and Rubella) and Varicella (Chickenpox) inoculations. M.R. began suffering from diarrhea, was seen by his doctor again, given over the counter drugs and improved. The next month, M.R. received the Prevnar vaccine. Approximately one month after that, his mother observed that he was having balance issues and later, the child suffered a seizure. He was brought to the hospital and continued to have seizures. After ruling out other possibilities, M.R.’s doctor diagnosed him with an autoimmune disorder that developed as a response to the vaccinations he had received. He was prescribed medication and was discharged. In 2010, M.R.’s parents filed a lawsuit with the United States Court of Federal Claims claiming that the vaccines M.R. received caused his seizure disorder and requesting a settlement from the National Vaccine Injury Compensation Program. 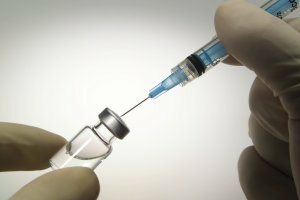 About four years later and after a hearing, the court decided that the claimants had proven by a preponderance of the evidence, or more likely than not, that the Prevnar vaccine had caused M.R.’s disorder. Compensation for his injuries has yet to be determined. M.R. is currently attending school but is finding it difficult to function at the same level as other students. He also cannot engage in certain activities such as many contact sports. He continues to have seizures and take medications, but has improved since first being diagnosed. If you or a loved one was harmed by a vaccine, call national vaccine injury attorney Leah Durant at (202)800-1711 for a case evaluation today.